SAVANNAH, GA--(Marketwired - Jan 21, 2014) - Change has a charming reputation. Whether it's one's pace or scenery, change, it seems, can only improve it. But when change comes in the form of a new general manager with more than 20 years of industry experience, even the most stalwart traditionalist can feel a flicker of excitement. And as the Savannah Marriott Riverfront welcomes precisely that sort of change to its management team, guests and staff alike can only benefit. Originally from Lynchburg, Virginia, Michael Bailey earned his B.S. in Hospitality Management from Virginia Tech before spending the next 20-plus years working in hotels and restaurants. During his time at Adam's Mark Hotels in Indianapolis, Michael was an active member of the Board of Directors for the Indianapolis Hotel and Motel Association and hosted many special guests, including: Peyton Manning, Little People of America, and the Indianapolis 500. From Baltimore, to Houston, and even the Jackson Marriott in Mississippi, his experience has prepared him for this latest appointment at one of the premier properties among downtown Savannah hotels. "I am so pleased to be in this beautiful, historic city," Bailey says. "Our associates are terrific to work with, and our hotel is in an ideal location to experience the charm of the riverfront and downtown Savannah." Owing to its position along the riverfront, the hotel puts visitors within all the best things to do in Savannah, Georgia, from browsing among antique shops, to visiting art galleries, squares and historic houses. Plus the hotel is near Savannah State University, which makes college tours and visiting students an easy enterprise for guests. Bailey's history of working in similarly vibrant cities points to an ability to build strong connections between the hotel and its community, something that will ultimately enhance his guests' overall hotel experience. Another area where Bailey's professional background will be put to good use is the culinary arts. With at least one restaurant sure to earn a place on any Savannah, Georgia restaurant guide, the hotel presents an appetizing opportunity for Bailey to strengthen the property's position within the local dining scene. While Blue, A Savannah Bistro, already stands out as a top pick for contemporary American fare, Bailey will enjoy leading it and the hotel's other dining options within the ever-changing landscape of the restaurant world. As Bailey and his family set down roots in their new hometown, the possibilities inherent to change continue to swirl about them. But with their settling in will no doubt come change's illustrious sibling: legacy. With an unbeatable location along the city's riverfront, the Savannah Marriott Riverfront is poised to offer a memorable stay for both business and leisure travelers. The museums, shops and restaurants of the downtown area are just steps away from the expansive property, while the hotel's 36,000 square feet of flexible event space is designed to accommodate any business function. A full-service spa, fitness center and indoor and outdoor pools translate to on-site recreation, while three dining options offer dishes that range from light snacks and cocktails to creative contemporary fare. No matter what brings travelers to the hotel, however, the welcoming guest rooms and suites ensure they won't be in a hurry to leave. Junior and executive suites, along with a Concierge Level, provide an extra level of comfort, although every guest room features inviting amenities like sumptuous bedding. At this gracious property, memories are simply waiting to be made. 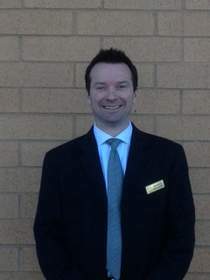 Savannah Marriott Riverfront welcomes their new General Manager, Michael Bailey. With over 20 years of hospitality industry experience all over the country, Michael looks forward to working in charming Savannah, Georgia.